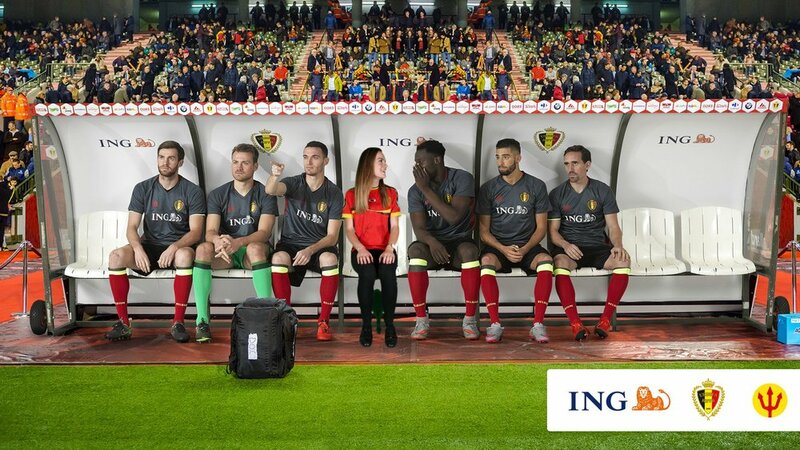 Sit on the bench with the Belgian Red Devils! We went to several football clubs all over Belgium with our ‘Football Animation’ Green Key Studios. Two identical studios were placed inside a dome on the football field. Every kid (or parent) was given the opportunity to sit on the green key stool and have their picture taken. Once the picture validated, they could have a look at the result: a picture of them next to The Red Devils and send their picture by email.